Buying Costly Drugs On The Installment Plan: Could It Work? : Shots - Health News Two academics suggest that loans financed by the private sector could be one way to help patients cover the cost of expensive, curative pharmaceuticals. Think mortgages. Harvoni can cure hepatitis C, but the drug costs a fortune. Are loans to patients the answer? In the journal Science Translational Medicine, the academics liken drug loans to mortgages, noting that both can enable consumers to buy big-ticket items requiring a hefty upfront payment that they couldn't otherwise afford. Some consumer advocates and health insurance experts see it completely differently. "Isn't this why we have health insurance?" asked Mark Rukavina, a Boston-based health care consultant whose work has focused on affordability and medical debt. "Insurance used to protect people from financial ruin for these unpredictable, costly occurrences. Now, with large deductibles, we've got coverage for preventive care but not for treatment." Andrew Lo, a professor of finance at MIT's Sloan School of Management, and Dr. David Weinstock, an oncologist at the Harvard-affiliated Dana-Farber Cancer Institute, agree that insurance would be a better option. But for many consumers that isn't enough protection these days. Even patients with insurance can face high deductibles. "This is a private sector stopgap way to deal with something right now," said Lo. Their proposal calls for the loans to be financed by a pool of investors who would buy bonds and equities issued by an organization that makes the loans to consumers. While it may be "distasteful" to talk about patients mortgaging their lives for treatment, Lo said, they hope the proposal will spur change. The health care installment loans that Lo, Weinstock and their co-author Vahid Montazerhodjat, a former MIT doctoral student who was working with Lo, propose would be aimed at helping people afford "transformative" therapies that cure potentially fatal conditions, such as cancer or hepatitis C.
They're not designed to pay for maintenance drugs that help people deal with chronic illness. It's easier for insurers to cover maintenance drugs because they're purchased over an extended period of time, they said. 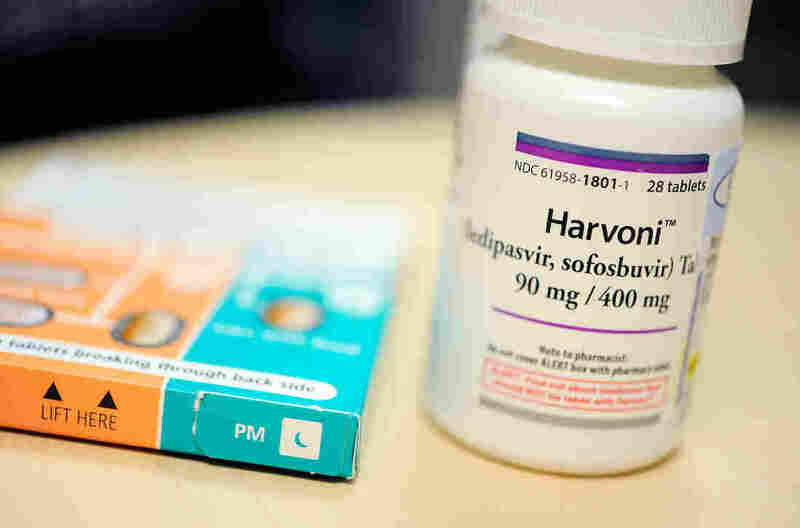 In contrast, breakthrough hepatitis C drugs Sovaldi and Harvoni, for example, can cure people of the liver-destroying disease in a few months, but the price tag of $84,000 or more has led many insurers to limit coverage to people whose disease has significantly progressed to show signs of liver damage. "There are miraculous treatments like Harvoni, but they're out of reach" for many people, said Lo. Someone who wanted that Harvoni treatment might take out a health care loan with a nine-year term at an annual interest rate of about 9 percent, the authors suggest. In a twist on conventional loans, if a therapy doesn't work or the patient relapses or dies, the patient isn't obligated to repay the loan. Are sick patients good loan prospects? Lenders might want to assess not only loan applicants' creditworthiness but also their health to determine whether the applicant is likely to live long enough to pay it off. The study authors say that requiring repayment only if the treatment works will protect patients and provide an incentive for the development of more effective drugs. That's a wrongheaded approach, says Dr. A. Mark Fendrick, director of the University of Michigan Center for Value-Based Insurance Design. Medical treatment isn't always straightforward. Even highly transformative drugs such as Sovaldi aren't guaranteed to work, Fendrick says, and other factors come into play. For example, about 10 percent of people who were prescribed Sovaldi for hepatitis C didn't finish their course of treatment, Fendrick says, referring to an analysis by the CVS Health Research Institute. "In this situation, the person who does the right thing and gets the good outcome is penalized and has to pay the money back," he said. Instead, he argued, patients who follow their doctor's recommendations and "do what you're supposed to do" should not be held liable for the loan. The proposal doesn't address drug prices, except to say that the potential for increases due to higher demand for previously unaffordable therapies needs to be addressed. Price increases are a real concern, says Paul Ginsburg, director of public policy at the University of Southern California's Schaeffer Center for Health Policy and Economics. The health law has made it easier for people to afford expensive drugs. It expanded Medicaid coverage to millions of lower-income adults and capped at roughly $7,000 annually the amount consumers generally spend out of pocket for care. "It's helped people, but it's also driven prices higher," he said. From a drug company's perspective, "It just means that more people can afford this drug, so we can charge more for it." Lo said the MIT Laboratory for Financial Engineering and the Dana-Farber Cancer Institute will host a conference later this year to bring together drug manufacturers, insurers, patient advocates, financial engineers and others to discuss strategies to make expensive drug therapies more affordable. Health care loans will be on the agenda, he said.